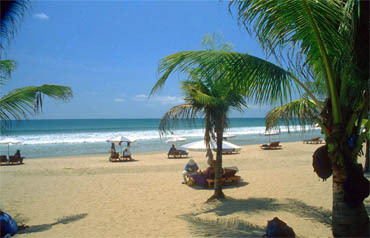 Kuta is one of the most popular tourist resorts in Bali, Indonesia. With excellent air connection links with other major Asian countries Kuta boasts a beautiful beach for surfing and swimming. The number of outgoing Korean travelers in August this year (2004) increased by 17.3 percent to 930,573 from a year ago to register the record high monthly figure, according to statistics released by the Korea National Tourism Organization (KNTO). All Asian travel destinations for Korean tourists except for Japan saw impressive growth rates with China posting the highest year on year growth rate of 47.6 percent to 283,804. Korea's tourist traffic to Japan, however, shrank to 165,504 with a negative year on year growth rate of 7.1 percent in August for the second month in a row. All in all, Korea's tourist traffic to Asian destinations increased by 24.9 percent in August on year on year to 677,577 accounting for 72.8 percent of the total outbound tourist market. Among other Asian destinations to which Korean tourist traffic grew impressively in August were Hong Kong (29,292 with year on year growth rate of 20.8 percent), Taiwan (10,281, 47.6 percent), Philippines (34,845, 24.5 percent) and Thailand (72,533, 35 percent). Korea's tourists to Asian destinations in August also increased 10.3 percent from July whereas those to Oceania, North America, and Europe decreased by 18, 9 percent, 5.6 percent, and 24 percent from a month earlier. On year-on-year basis, however, only North America saw a minus growth rate of 15.1 percent. In the meantime, tourist arrivals in August this year totaled 522,766, up 15 percent from a year ago and an increase of 9.6 percent from the same month in 2002. 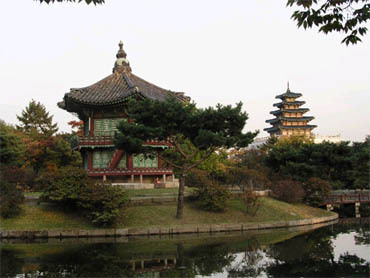 Hyangwonjong or Hyangwon Pavilion in Gyeongbok-gung. Gyeongbok-gung or Gyeongbok Palace, was picked as the most favorite tourist spot in a recent survey with foreign visitors. The royal palace of Joseon Dynast (1392-1910) in located in downtown Seoul. Japanese tourists totaled 234,625 in August, an increase of 39.2 percent from a year earlier followed by Chinese tourists (10.5 percent increase) and Taiwanese (22 percent increase. Increase of female tourists (38.5 percent increase) and those in their 20s and younger was particularly noteworthy, according to KNTO. During the first eight months of this year, tourist arrivals in Korea totaled 3,725,653 or up 28.1 percent from a year ago while outgoing Korean tourists came to 5,914,076 or 28.9 percent increase. The "Korea Wave" or popularity of Korean pop culture in Asian countries was cited as a major reason behind increase of foreign tourist arrivals, particularly women and young tourists. A throng of Japanese women are desperate to take a better picture of entertainment stars and celebrities in a photo exhibition held recently in Tokyo, Japan. Some Korean TV and movie stars enjoy huge popularity among Japanese, attracting numerous Japanese tourists to South Korea. 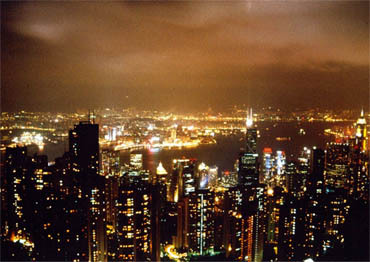 Thanks to increase of tourist arrivals, tourism revenue during the first eight months of this year increased by 20.8 percent to $3,830 million on a year on year basis but outgoing Korean tourists in the same period spent $6,170 million, up 9.7 percent from a year earlier, thus resulting in $2,340 million in tourism account deficit.